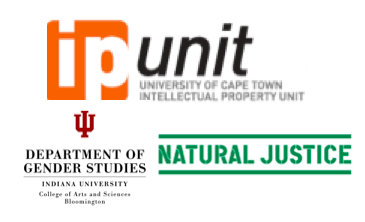 On 19 May 2015, the IP Unit, together with colleagues affiliated with Indiana University in the U.S. and Cape Town-based Natural Justice, submitted to the Department of Science and Technology comments (click here) regarding the Draft Protection, Promotion, Development and Management of Indigenous Knowledge Systems Bill. The Bill was summarised here. Our approach is to engage with the Protection, Promotion, Development, and Management of Indigenous Knowledge Systems Bill (“IKS Bill”) in a sympathetic and constructive yet critical manner. Our submission is structured as an outline document – it comments on a few provisions in the IKS Bill that are of particular importance and concern to indigenous communities. We do not attempt an exhaustive review of the IKS Bill but rather aim to highlight certain areas of concern. We hope this will generate a broader discussion into the contours of the IKS Bill as a whole. Among other things, we welcome the Bill’s intention to establish a sui generis approach for the protection of indigenous knowledge. This, in our view, is a positive change from alternative protections given to indigenous knowledge systems through the somewhat unfitting framework of intellectual property rights as evidenced by the most recent Intellectual Property Law Amendment Act 2013. When legislating in this area, emphasis must be on appropriately defining indigenous communities. Furthermore, lawmakers should generally be mindful that adding additional layers of IP or IP-like protection to hitherto unprotected subject matter also creates societal costs through further reducing a crucial and freely available knowledge resource – the public domain. As a vital engine for innovation, entrepreneurship and development in every country, the public domain is deserving of special protection. That being said, we are aware that indigenous knowledge has been historically characterised as in the public domain in order to appropriate such knowledge. Given such histories, the IKS Bill raises concerns over how to meet the interests of indigenous communities and attend to the interests of third parties to access such knowledge. One way to address these tensions is to put emphasis on developing a robust set of exceptions and limitations.